Darwin's notes are listed as "cedar, grapefruit, vetiver", and in truth that just about sums it up. The grapefruit top is a bit toilety (in an interesting way, just a bare whiff of pee), the vetiver adds a bright-green sharpness, and the cedar dominates the whole composition. Simple and shallow, no depth at all, but very nice, though it's hard to see how it could be $150 worth of nice. Pampa Humeda supposedly smells of "leaf, eucalyptus and rosemary", but I can't tell because I didn't get a sample of it: to my considerable surprise I discovered that Luckyscent messed up my sample bag and accidentally sent me a vial of Etat Libre d'Orange's Jasmine et Cigarette instead. Let's pretend that Pampa Humeda is fantastic (it could happen) and move on to the ELdO, since I see I've mentioned it a few times but never actually written about it. You wouldn't be out of line if you expected Jasmin et Cigarette to smell like a femme fatale: red lipstick, fur, whiskey-soaked voice, wreathed in dark jasmine perfume and cigarette smoke. But nothing of the sort! Instead, you get a big unfurling of bright jasmine coupled with the sunny peachfuzz smell of apricots, followed quickly by the sunwarmed-hay smell of tobacco. There is a faint trail of smoke underneath, but mostly it is cured but unburned tobacco, golden brown and glorious. After the first bloom of the top notes, it sits reasonably close to the skin, the sort of scent that makes others lean in closer. It is heady, yes, but not femme fatale at all: the freshness of the fruity jasmine may skew it to the women's side of the aisle for some, but coupled with the outdoorsy, masculine tobacco, it's fascinatingly unisex. Despite the olfactory references to sunshine and peach orchards and tobacco fields, this is evening wear, I think: a bit too sultry for the office, a bit too mysterious for the daytime, it would sit well on someone with places to go after dark. *I apologize, but just a little, for harping endlessly on the cost of these things: they seem so hideously overpriced for what they are, and I can't seem to get over it. 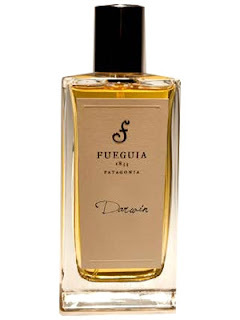 The Etat scent is a third the price of the Fueguias, and yet it is so much better than either of them — and in fact with last week's exception, better than any Fueguia I've smelled yet — that the asking price for the latter seems almost criminal. 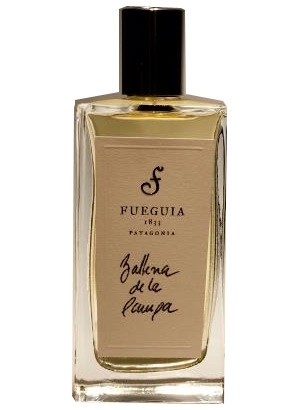 You can get sixteen ten-mL bottles of Etat for the price of one small Fueguia. Manufacturers and vendors may of course charge what they like, but there is something very wrong with that equation. I've been wearing Jasmin & cigarette for a couple of years now and really love it -- it's one of the most-used bottles on my perfume tray. I'm not usually enthusiastic about flower scents, but this is the truest, longest-lasting, light jasmine I've ever sniffed. There's a kind of ozone quality to it that seems to keep it light and exhibit the "cigarette" note. Jasmin et Cigarette is really gorgeous, isn't it? 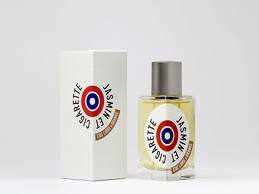 The Etat collection is a real mixed bag, and frankly some of them are just terrible, but there are some terrific scents too and Jasmin et Cigarette is one of them, right up there with Rossy de Palma, Putain des Palaces, Divin' Enfant, and Nombril Immense.